Washington, DC- 2011 begins with rising gas prices and predictions they will go even higher as we move further into the new year. These predictions coupled with the release of The American Public Transportation Association’s (APTA) monthly “Transit Savings Report” highlight the increasing benefits of switching from driving to riding public transportation. 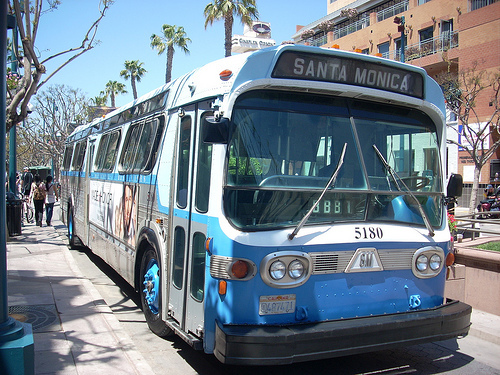 The report notes that riding public transportation saves individuals, on average $9,656 annually, and up to $805 per month based on the January 5, 2011 average national gas price ($3.08 per gallon-reported by AAA) and the national unreserved monthly parking rate. Gas prices are at their highest level since October 2008, and $.32 higher than the same time last year providing riders an additional annual savings of more than $400. Riding public transportation is a proven way for individuals to cut monthly and yearly transportation costs, while also reducing their carbon footprint. APTA releases this monthly “Transit Savings Report” to examine how an individual in a two-person household can save money by taking public transportation and living with one less car. The national average for a monthly unreserved parking space in a downtown business district is $161.56, according to the 2010 Colliers International Parking Rate Study. Over the course of a year, parking costs for a vehicle can amount to an average of $1,939. *Based on gasoline prices as reported by AAA on 1/05/11. APTA then compares the average monthly transit fare to the average cost of driving. The cost of driving is calculated using the 2010 AAA average cost of driving formula. AAA cost of driving formula is based on variable costs and fixed costs. The variable costs include the cost of gas, maintenance and tires. The fixed costs include insurance, license registration, depreciation and finance charges. The comparison also uses the average mileage of a mid-size auto at 23.4 miles per gallon and the price for self-serve regular unleaded gasoline as recorded by AAA on January 5, 2011 at $3.08 per gallon. The analysis also assumes that a person will drive an average of 15,000 miles per year. The savings assume a person in two-person household lives with one less car. In determining the cost of parking, APTA uses the data from the 2010 Colliers International Parking Rate Study for monthly unreserved parking rates for the United States.